Published: March 17, 2014 at 08:05 p.m. 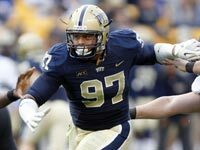 Updated: May 7, 2014 at 07:05 p.m.
With the 2014 NFL Draft fast approaching, NFL Media's Daniel Jeremiah will be taking an up-close look at the main areas of weakness -- and the prospects who could fix them -- for all 32 squads in the league. 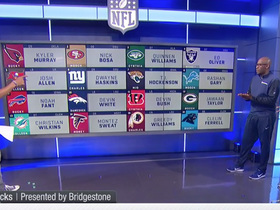 For more in-depth analysis, be sure to catch "Path to the Draft" on NFL Network at 7 p.m. ET, Monday through Friday. Click on each team for full analysis. 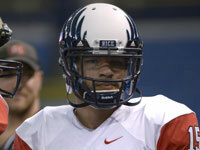 » 1) Safety: Tyrann Mathieu needs a partner in the secondary. » 2) Offensive tackle: Zack Martin adds much-needed versatility. » 3) Outside linebacker: John Abraham turns 36 in May. » 4) Quarterback: Carson Palmer turns 35 in December. » 1) Edge rusher: Khalil Mack could help solve the team's sack woes. » 2) Offensive tackle: Protecting Matt Ryan is a top priority. 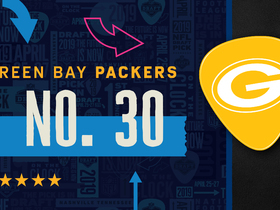 » 3) Safety: Ha Ha Clinton-Dix would team well with William Moore. » 4) Tight end: C.J. Fiedorowicz could compete with Levine Toilolo. » 1) Offensive tackle: Michael Oher's exit leaves a hole at RT. » 2) Center: Still searching for Matt Birk's replacement. » 3) Safety: Ha Ha Clinton-Dix would pair nicely with Matt Elam. » 4) Pass catcher: Steve Smith helps, but Joe Flacco needs more. » 1) Right tackle: Jake Matthews could start right away. » 2) Tight end: Eric Ebron could help EJ Manuel grow in Year 2. » 3) Safety: Jimmie Ward's a versatile Day 2 option. » 4) Linebacker: Kiko Alonso and C.J. Mosley -- a scary combo. » 1) Offensive tackle: Cyrus Kouandjio could be a real value pick. » 2) Wide receiver: Marqise Lee would help a sluggish aerial attack. » 3) Cornerback: Cornerback depth is key in the NFC South. » 4) Offensive guard: Don't sleep on Jack Mewhort. » 1) Safety: Dezmen Southward would bring value. 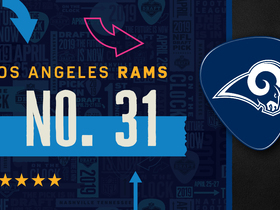 » 2) Defensive tackle: Aaron Donald can reach the QB. » 3) Cornerback: Bashaud Breeland would offer depth. » 4) Running back: Terrance West has big-school ability. 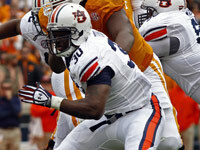 » 1) Defensive end: Dee Ford would bring a nice burst. » 2) Cornerback: Darqueze Dennard would be tough to pass up. » 3) Safety: Deone Bucannon is intriguing. » 4) Offensive line: Ja'Wuan James has potential. 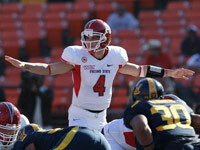 » 1) Quarterback: Derek Carr could solve never-ending QB problem. » 2) Wide receiver: Sammy Watkins and Josh Gordon? Juicy stuff. » 3) Offensive line: Multiple positions could use an upgrade. » 4) Inside linebacker: Karlos Dansby needs partner in the middle. » 1) Safety: The wait for a playmaking safety could finally be over. 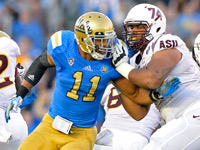 » 2) Defensive end: Anthony Barr is raw, but has huge upside. » 3) Offensive guard: Dakota Dozier's a solid mid-round option. 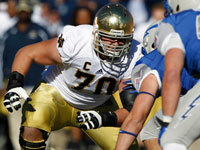 » 4) Offensive tackle: Zack Martin would pair well with Tyron Smith. » 1) Cornerback: Bradley Roby can boost secondary. » 2) Wide receiver: Jarvis Landry is a real catch. 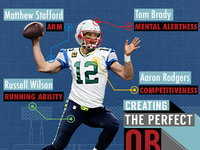 » 3) Offensive guard: Protecting Peyton Manning. » 4) Linebacker: Ryan Shazier could fortify the middle. » 1) Cornerback: Justin Gilbert's a gifted corner and kick returner. » 2) Wide receiver: Paul Richardson has big-play potential. » 3) Safety: Deone Bucannon makes sense as a second-rounder. » 4) Interior offensive line: Weston Richburg would be a perfect fit. » 1) Safety: The back end of the defense could use an upgrade. » 2) Tight end: Austin Seferian-Jenkins is an inviting red-zone target. » 3) Inside linebacker: Ryan Shazier could learn from A.J. Hawk. » 4) Wide Receiver: Bruce Ellington fits the Packers' mold. » 1) Quarterback: No one worthy of No. 1 overall pick. 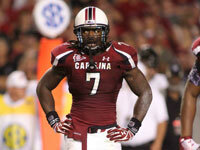 » 2) Outside linebacker: Jadeveon Clowney is the draft's top talent. » 3) Defensive line: Depth available in middle rounds. 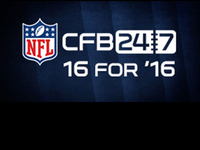 » 4) Right tackle: Position must be addressed. » 1) Safety: LaRon Landry needs a partner. » 2) Offensive guard: Brandon Thomas could be a value pick. » 3) Defensive line: DaQuan Jones is stout run-stopper. » 4) Cornerback: Jaylen Watkins offers great versatility. » 2) Edge rusher: Khalil Mack fits perfectly in Gus Bradley's defense. » 3) Wide receiver: Jared Abbrederis could be a fourth-round steal. » 4) Center: Joel Bitonio can play all along the offensive line. 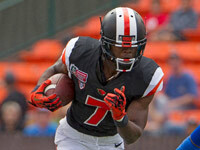 » 1) Wide receiver: Brandin Cooks would bring explosiveness. 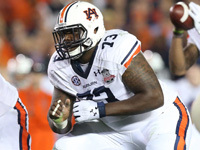 » 2) Offensive guard: Spot can be boosted in third or fourth round. » 3) Safety: Calvin Pryor and Eric Berry: an imposing pair. » 4) Cornerback: Bradley Roby fits perfectly. 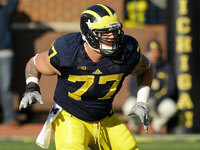 » 1) Right tackle: Zack Martin would fit well opposite Branden Albert. 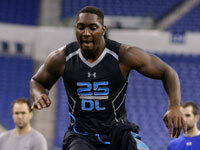 » 2) Offensive guard: Who will create lanes for Knowshon Moreno? » 3) Cornerback: Pierre Desir could add competition at the position. » 4) Safety: A late-round pick would address this need well. » 1) Linebacker: C.J. Mosley is the best inside linebacker in the draft. » 2) Quarterback: Teddy Bridgewater fits in Norv Turner's system. » 3) Offensive guard: Adrian Peterson needs running lanes. » 4) Secondary: The Vikes finished 31st in pass defense last year. » 1) Secondary: The first step to stopping Peyton Manning. » 2) Defensive line: Louis Nix could learn from Vince Wilfork. 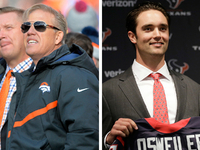 » 3) Tight end: The Pats could trade down and take Jace Amaro. » 4) Running back: Carlos Hyde would boost this backfield. » 1) Center: Brian De La Puente leaves a void. » 2) Outside linebacker: Demarcus Lawrence is a buzzy option. » 3) Cornerback: Phillip Gaines' stock is rising. » 4) Wide receiver: Marqise Lee would be tough to pass up. 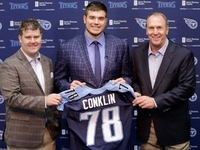 » 1) Left tackle: Taylor Lewan would be immediate upgrade. » 2) Tight end: Eric Ebron: Shades of Jeremy Shockey? » 3) Wide receiver: Pairing Mike Evans with Victor Cruz. » 4) Defensive tackle: Timmy Jernigan could boost run D.
» 1) Wide receiver: Kelvin Benjamin would fit nicely with Eric Decker. 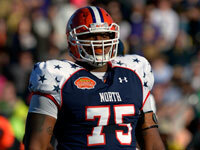 » 2) Offensive guard: A need they can address later in the draft. » 3) Outside linebacker: Calvin Pace turns 34 in October. » 4) Cornerback: More than any other position, Rex Ryan loves CBs. » 1) Wide receiver: Dreams of Sammy Watkins. 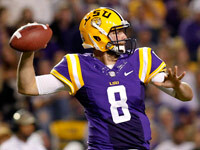 » 2) Quarterback: Is Zach Mettenberger the future? 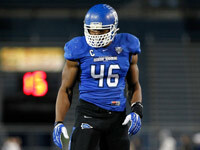 » 3) Pass rusher: Khalil Mack is an instant sack machine. » 4) Inside linebacker: C.J. Mosley could be the man. 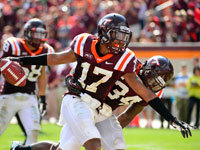 » 1) Cornerback: Kyle Fuller's stock rising. » 2) Outside linebacker: Kony Ealy has upside. » 3) Safety: Deone Bucannon brings size, range and ball skills. » 4) Wide receiver: Jordan Matthews is Chip Kelly's type. » 1) Cornerback: Darqueze Dennard's physical style a good fit. » 2) Wide receiver: Free-agency departures have created a need. » 3) Defensive line: Stopping the run is key for LeBeau's D.
» 4) Offensive line: You can never have too many. » 1) Cornerback: Phillip Gaines has great size and toughness. » 2) Nose tackle: Louis Nix resembles former BC star B.J. Raji. » 3) Outside linebacker: Dee Ford could pair with Melvin Ingram. » 4) Wide receiver: Philip Rivers needs a true vertical threat. » 1) Cornerback: Bradley Roby is a plug-and-play defender. » 2) Inside linebacker: NaVorro Bowman's coming off a major injury. » 3) Wide receiver: Paul Richardson's burst could ignite the offense. » 4) Defensive line: Justin Smith can't play forever. » 1) Offensive guard: Xavier Su'a-Filo's versatility would help. » 2) Offensive tackle: Breno Giacomini's departure left a void. » 3) Wide receiver: Marqise Lee could lighten Percy Harvin's load. » 4) Defensive end: Who'll replace five-technique DL Red Bryant? » 1) Offensive tackle: Greg Robinson could bolster line. » 2) Safety: More help coming for T.J. McDonald? » 3) Cornerback: Youth movement might continue. » 4) Wide receiver: Sammy Watkins would be true No. 1. » 1) Wide receiver: Mike Evans and Vincent Jackson? Scary good. » 2) Offensive guard: Bucs need depth on the O-line. » 3) Sam linebacker: Telvin Smith is Lovie Smith's kind of player. » 4) Quarterback: McCown keeping Johnny Football's seat warm? 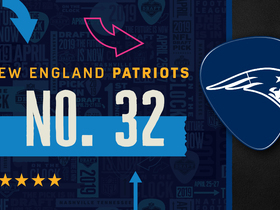 » 1) Cornerback: Suddenly, there's a hole opposite Jason McCourty. » 2) Running back: Bishop Sankey has the skills to replace CJ2K. » 3) Quarterback: Ken Whisenhunt needs to figure out this position. » 4) Offensive tackle: How about a swing guy on Day 3 for depth? » 1) Offensive line: Cyrus Kouandjio's a steal if he lasts until No. 34. » 2) Cornerback: Pierre Desir is an INT machine. » 3) Defensive line: Ra'Shede Hageman has a ton of potential. » 4) Inside linebacker: Jordan Tripp is a mid- to late-round option.